Reflecting on a recent visit to the Gateway School in India, I’m always humbled by the life-changing difference education makes to the children that are part of the school. Coming from poor rural villages, most of these children are the first generation in their family to be educated. They value their opportunity highly, and their parents take great pleasure in the fact that these children offer hope and a future to the family. Once these children receive an education through the medium of English rather than simply through Telugu their native language, it opens up endless possibilities for future employment and security. Ten years ago, in the early days of the school, I went on one of the school buses as it delivered children back to the villages at the end of the school day. The roads into every village were lined with parents applauding their children off the bus, such was the pride and excitement! 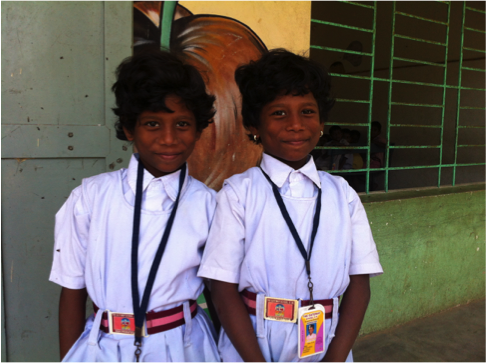 My wife Gill and I have taken a particular interest in twin girls who go to the school, and I have tried to chat with them and take their photo every time I visit. They take great amusement in seeing a photo of themselves from many years before when I find it on my phone. I guess I use their growth-and I see them growing mentally, physically, socially and spiritually-as a yardstick for all that we are enable to accomplish through the education we support at the Gateway School. Jesus said‘Let the little children come to me and do not hinder them, for the Kingdom of God belongs to such as these.’ One of the most precious things we can do in this world is to offer hope and future to children who otherwise might never survive.